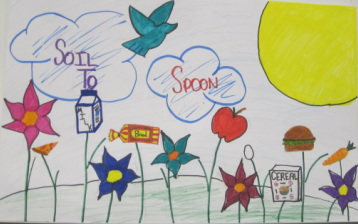 Butte Soil and Water Conservation District (SWCD) sponsored their annual 6th Grade Poster Contest at both Butte Middle School and Mackay Elementary in May. A 1st, 2nd and 3rd place winner was chosen overall. 1st received $25, 2nd - $15 and 3rd - $10. Each participant also received a certificate of appreciation for entering the 2018 Poster Contest. The theme this year was “Watersheds-our water, our home”. The Butte SWCD overall winners will be entered in the Division VI contest this fall, with the potential of advancing to an Idaho State contest and then a National contest. Butte SWCD overall winners were- 1st: Aislin Stayman(Arco), 2nd: Jaimie Bodreau(Mackay) and 3rd: Brenna Waymire(Arco). Congratulations and thank you to each student who entered our contest and to Mrs. Kimball and Ms. Coburn for letting us visit their classrooms. 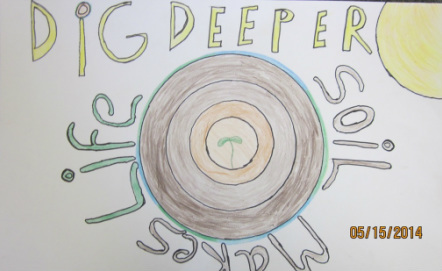 Butte Soil and Water Conservation District (SWCD) sponsored their annual 6th Grade Poster Contest at both Butte Middle School and Mackay Elementary in May. A 1st, 2nd and 3rd place winner was chosen overall. 1st received $25, 2nd - $15 and 3rd - $10. Each participant also received a certificate of appreciation for entering the 2017 Poster Contest. The theme this year was “Healthy Soils are Full of Life”. The Butte SWCD overall winners will be entered in the Division VI contest this fall, with the potential of advancing to an Idaho State contest and then a National contest. Butte SWCD overall winners were- 1st: Cora Barnes, 2nd: Kala Hansen and 3rd: Cooper Coleman. Congratulations and thank you to each student who entered our contest and to Mrs. Kimball and Mr. Angell for letting us visit their classrooms. 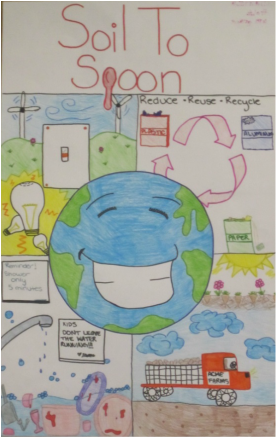 Butte Soil and Water Conservation District (SWCD) sponsored their annual 6th Grade Poster Contest in May. The judges selected a 1st, 2nd and 3rd place winner from both Mackay and Butte schools. Then a 1st, 2nd and 3rd place winner was chosen overall. 1st received $25, 2nd - $15 and 3rd - $10. Each participant also received a certificate of appreciation for entering the 2016 Poster Contest. The theme this year was “We All Need Trees”. The Butte SWCD overall winners will be entered in the Division VI contest this fall, with the potential of advancing to an Idaho State contest and then a National contest. From Arco Middle School the winners were 1st: Kelly Westergard, 2nd: Madi Kniffin and 3rd: McKenzie Gamett. From Mackay Elementary the winners were 1st: Brenna McAffee, 2nd: Brooke Sievers and 3rd: Kaytlyn Winters. The Butte SWCD overall winners were- 1st: Kelly Westergard, 2nd: Brenna McAffee and 3rd: Brooke Sievers. 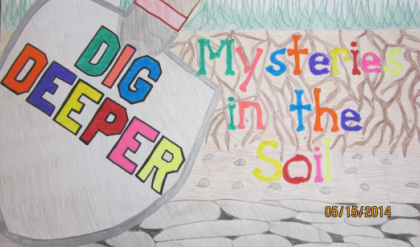 Butte Soil and Water Conservation District sponsored their annual 6th Grade Poster Contest in May. The judges select a 1st, 2nd and 3rd place winner from both Mackay and Butte schools. Then a 1st, 2nd and 3rd place winner is chosen overall. 1st received $25, 2nd - $15 and 3rd- $10. Each participant also received a certificate of appreciation for entering the 2015 Poster Contest. The theme this year was “Local Heroes-Your Hardworking Pollinators”. The Butte SWCD overall winners will be entered in the Division VI contest this fall with the potential of advancing to an Idaho State contest and then a National contest. From Arco Middle School the winners were 1st: Pressley Ray, 2nd: Nikki Harrwood and 3rd: Riley Reese. The Butte SWCD overall winners were- 1st: Riley Moore, 2nd: Pressley Ray and 3rd: Nikki Harrwood. Those chosen from Arco Middle School were 1st-Keyan Cummins, 2nd-Merrick Stone and 3rd-Paige Larsen. Honorable Mention-EmmaRae Darland and Gage Gamett. The Butte SWCD Overall Winners were 1st-Keyan Cummins, 2nd-Tracker Harris and 3rd-Merrick Stone. 1st received $25, 2nd $15 and 3rd $10. Each participant also received a certificate of appreciation for entering the 2013 Poster Contest. 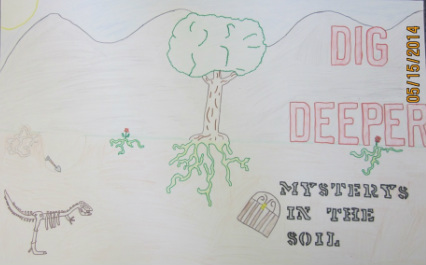 The theme this year was “Dig Deeper-Mysteries in the Soil”. The Butte SWCD overall winners will be entered in the Division VI contest this fall with the potential of advancing to an Idaho State and then National contest. Congratulations and thank you to each student who entered our contest and to Mrs. Kimball and Mr. Angell for letting us, once again, visit their classrooms. Butte Soil and Water Conservation District sponsored the annual 6th Grade Poster Contest in May. The judges selected 1st, 2nd and 3rd for each school and 1st, 2nd and 3rd overall for Butte SWCD. From Arco Middle School the winners were 1st – Ty Twitchell, 2nd -- Dallin Schreiber, 3rd –McKenzie Blattner and Honorable Mention – Emery Taylor and Sheldon Babcock. Those chosen from Mackay Elementary were 1st – Demee Rosenkrance, 2nd – Kaden Surrage, and 3rd – Dallin Green. The Butte SWCD overall winners were- 1st –Ty Twitchell, 2nd- Dallin Schreiber and 3rd – Demee Rosenkrance. 1st received $25, 2nd - $15 and 3rd $10. Each participant also received a certificate of appreciation for entering the 2013 Poster Contest. The theme this year was “Where Does Your Water Shed?”. The Butte SWCD overall winners will be entered in the Division VI contest this fall with the potential of advancing to an Idaho State and then National contest. From Arco Middle School the winners were 1st – Clarissa Holt, 2nd Meg Buxton, 3rd –Shaylee Ashton and Honorable Mention – Hannah Lewis, Seth Hansen, Brett Waymire, Sharawn Brownlee. Those chosen from Mackay Elementary were 1st – Zoe Barnard, 2nd – Kamryn Larsen, 3rd – Briley Wight and Honorable Mention – Annabel Martinez and Alayna Smith. The Butte SWCD winners were- 1st –Clairissa Holt, 2nd- Zoe Barnhard and 3rd – Kamryn Larsen. 1st received $25, 2nd - $15 and 3rd $10. Each participant also received a certificate of appreciation for entering the 2012 Poster Contest. 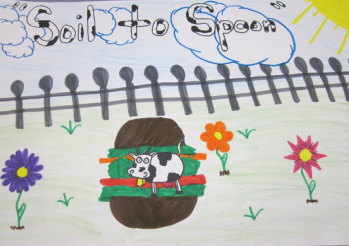 The theme this year was “Soil to Spoon”. The Butte SWCD winners will be entered in the Division VI contest this fall with the potential of advancing to an Idaho State and then National contest. Below are pictures of the 2012 winning posters.